After nearly three decades with the Centers for Disease Control & Prevention, Elaine Gunter was looking for a change. 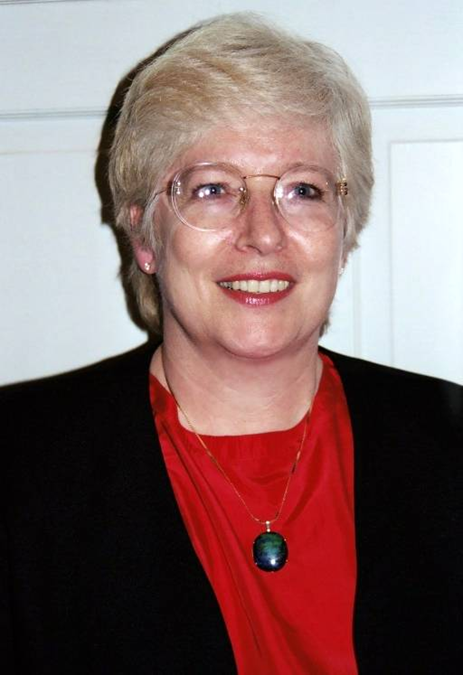 Since 1978, her role in the central laboratory for the National Health and Nutrition Examination Survey included designing specimen collections for various field studies, managing personnel, and developing assays. In 2001, she was promoted to a the deputy director position of the Division of Laboratory Sciences at CDC. While working in the management and operations realm, she found she was dealing with the “suits” of Washington, D.C., who were trying to run science agencies as a business. That’s when she took the leap. Gunter, whose professional network was 3,000 strong at this point in her career, created her biorepository and laboratory consulting business, Specimen Solutions, LLC, which assists clients in repository operation, quality assurance and laboratory management. Gunter said specimen banking (or biorepositories) is essentially like having a warehouse of sorts for materials. These materials could be human, animal, environmental, or whatever is needed for research. “It’s taking care of anything that would be stored in a biological or environmental repository, and it can be stored at temperatures from ambient or room temperature all the way down to cryogenic storage by immersion in liquid nitrogen,” she said. But Gunter has found while working with collections in the public sector or as a business owner, that there are now multiple challenges facing repositories. Among funding difficulties, the high cost of operations, human subject issues and storage and preservation of collections and samples, Gunter stressed management is a huge challenge for facilities. 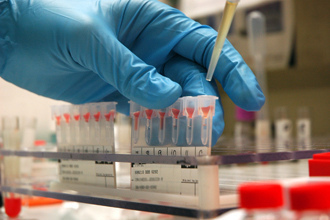 Gunter cited the National Heart, Lung and Blood Institute’s (NHLBI) collections from past coronary drug trials when they had collected large volumes of blood, primarily from men. And they stored aliquots of serum in large volumes. Over several decades, however, they had given away only a small percentage of their collections and storage costs were increasing. In Gunter’s experience, setting standards allows for better operations and management. Whether it’s the Clinical Laboratory Improvement Act (CLIA), the International Standards Organization (ISO), a combination of the two, or internal guidelines, she helps laboratories and repositories incorporate the highest quality standards. So when the International Society for Biological and Environmental Repositories (ISBER) was established in 2000, with the help many others interested in improving biorepository science, Gunter was appointed as its first president, and the organization got to work on what is important for its members: best practices. Gunter said the group is currently working on its fourth iteration of ISBER Best Practices, and in the 15 years since ISBER’s inception, members have seen the first three guidelines change for various reasons. One component that has largely changed their practices: an increasingly digital world. And as the group’s best practices change and grow, so does the society. Since 2000, the group has grown from 125 attendees at its first annual meeting to 1,300 institutional and individual members. ISBER now has additional affiliate and associate partnerships, such as the European, Middle Eastern, & African Society for Biopreservation & Biobanking (ESBB) to expand awareness about management and preservation to biorepositories worldwide. ISBER also has an official journal called Biopreservation & Biobanking. Gunter doesn’t go to a lab every day anymore. Her commute means crossing the hallway from her bedroom to her office. But she remains as busy as ever. She travels when she has to and remains an active member in ISBER, the society that she co-founded, proselytizing for members who feel the same way she does about quality and management of collections.